This past weekend, members of our family met at my mother’s home in Point Reyes Station, California, for a wedding shower in honor of our youngest daughter, Kara. It was not a shower full of gifts, as Kara requested no gifts and instead wanted “a shower of love” with her family around her. And love we gave her. It was a lovely, memorable weekend with about a dozen family members and a couple of my mom’s friends. I flew in from Chicago and met Kara and daughter Kristina at the airport in San Francisco last Friday night. We rented a car and drove the 1-1/2 hours to Point Reyes Station, across the Golden Gate Bridge and up into the twisting, winding hills. My mom was very nervous about us driving those dark roads so late at night, but it was easy. No problems or deer on the roads. As we arrived and stepped out of the car, there was a deafening sound in the air that reminded me of locusts in Midwest summers, but that couldn’t be it. We asked my mom what the strange noise was and she said – frogs! It seems with the recent California drought, and then some recent rain, the frogs all came out and decided to settle in the large pond down the hill from the house. We called it the Ribbit Chorus. We settled in for the night, ready to get up and start cooking and decorating the next morning. However, the Ribbit Chorus sang to us all night long. Do frogs ever sleep?? 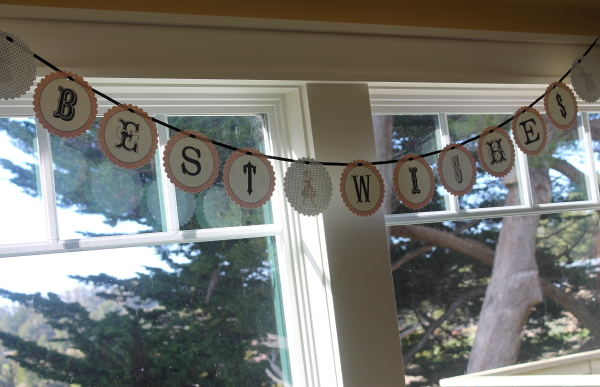 We got up bright and early and Kristina started the festivities by hanging up a “Best Wishes” sign. I got the grocery list ready for all the food, and the girls along with two of my nieces, Sia and Pesi, headed out the door to shop. 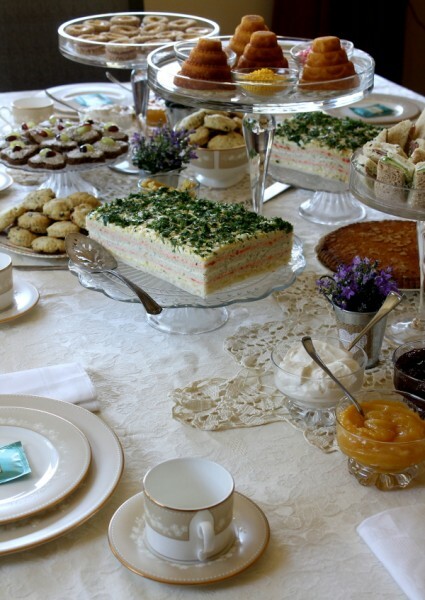 I got out the tablecloth, newly cleaned and starched linen napkins, china, silver, and many other accessories for the table. A very special gift for the tea was given to us from my friend and former neighbor, Roxanne. 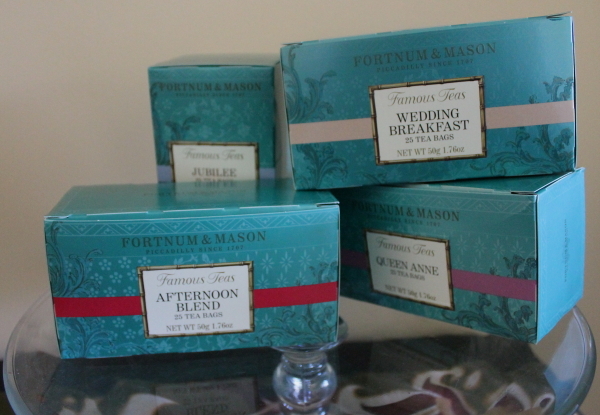 Roxanne had recently visited the Fortnum & Mason store in London and tasted some incredible tea. She shipped boxes of tea from London for us to serve at the party. Kristina found the darling purple flowers in Point Reyes, and the little English cottage was a gift that my friend Lyn gave to me years ago when she lived in London. 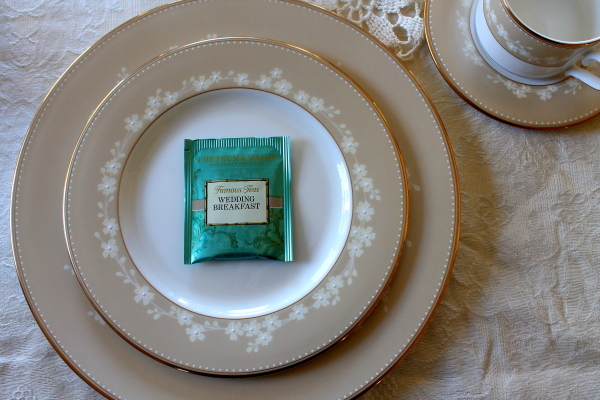 These items gave a feeling of a high tea in England and looked beautiful scattered around the table. There were four tea varieties, all so wonderful. We also made a fabulous “mintade,” a combination of several juices, and also served chilled champagne. After hours of preparation, the food was ready for presentation! We couldn’t wait to begin. The crocheted items were made by Grandma Vanni over 60 years ago. 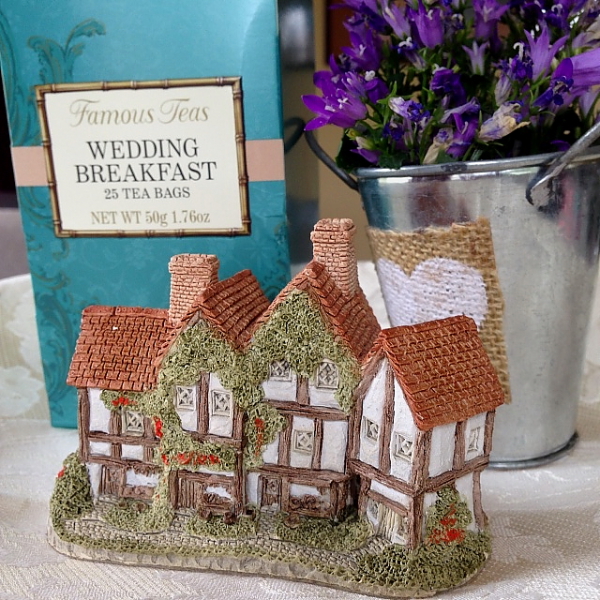 A bag of the Wedding Breakfast Tea was placed at each setting. 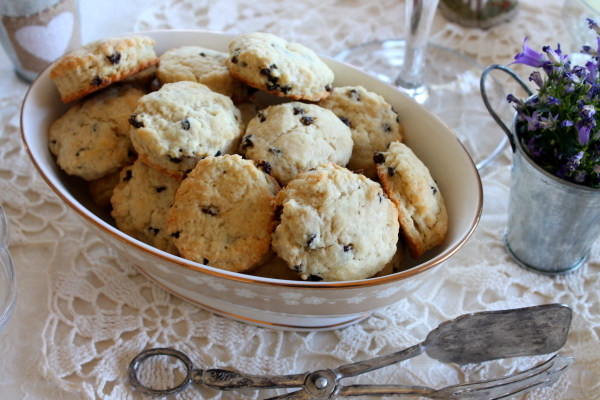 The currant scones were probably my favorite item of the day. 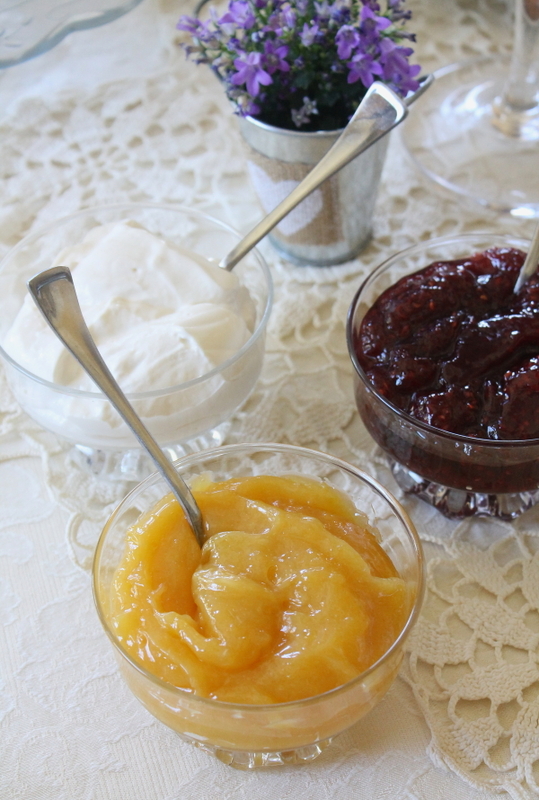 I made a homemade lemon curd and Devonshire cream to accompany them, along with some locally made raspberry jam. 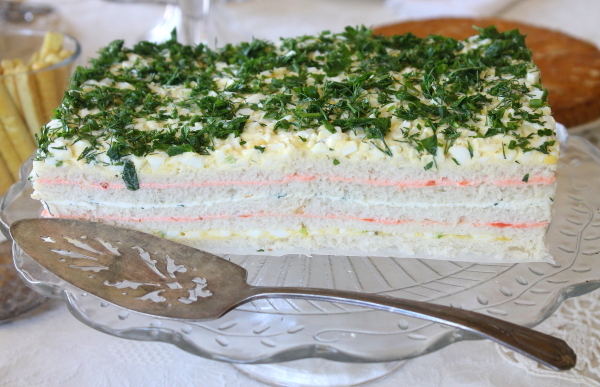 The sandwich cake has layers of smoked salmon filling, egg salad, and a cream cheese filling, topped with fresh herbs. I made it the night before to give it time to settle together for easy slicing. It was fabulous! 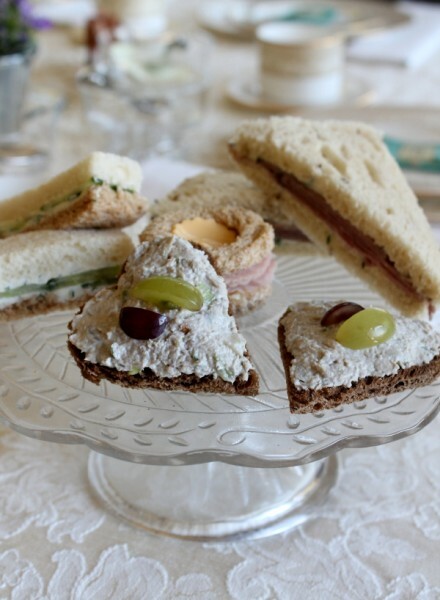 The tea sandwiches consisted of a roast beef on light rye with horseradish cream; a ham with chutney butter on whole wheat and a little piece of cheese; chicken salad hearts on pumpernickel and topped with red and green grapes; and a cream cheese, fresh dill, and cucumber filling on slices of both white and wheat. 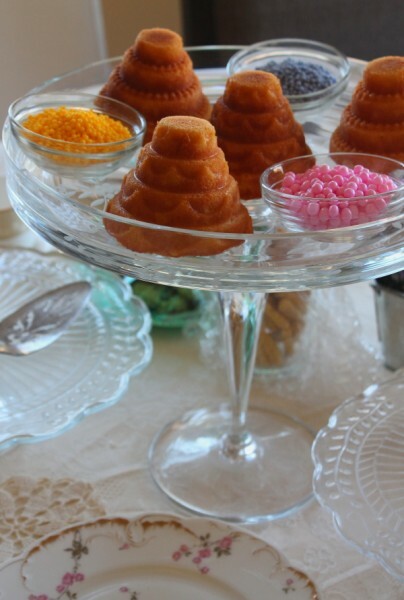 For dessert, Kristina made mini wedding cakes that were adorable! A special shortbread adorned the table. I was introduced to this incredible buttery, French shortbread by Breton Gourmet, the US distributor of the French specialty. 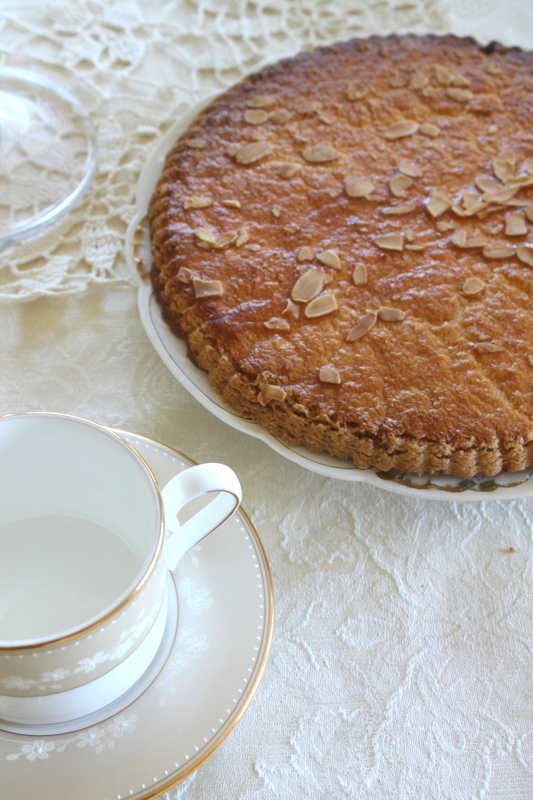 The shortbread comes in small cookies, large ones topped with almonds to break off and share, as we did, and little sticks that come in the shortbread or ones with a cheese flavor, which we offered. Be sure and check out their website! We are hooked on the shortbread and order these wonderful products for parties. -At 10 a.m. deputies ticketed a trailer. -Someone complained about a man who pushed a three-wheeled stroller. -At 2:40 a. m. a man heard a vehicle drive past his home. -At 2:45 a. m. a vehicle hit a tree. -At 8:44 a. m. a black cow was in the road. -At 10 a. m. two other cows were in the road. -At 9:32 a.m. a woman claiming to be an FBI agent reported that someone had smashed her ankles and was trying to take off her feet. She stated that she was being murdered in place and that deputies could not be trusted. -At 8:44 a man heard a loud bang. -At 9:43 the same man said neighbors were throwing rocks onto his deck, although the deputies didn’t find any. -At 1:46 p.m., Kristina bought a red angora hat. -At 3:15, Ozzie the cat saw something outside the back door. -At 6:00, Debbie tried to turn on the broiler but it didn’t work. -At 9:30, we heard the Ribbit chorus. -At midnight, the chorus stopped. -At 12:02 a.m., the chorus started up again. Such is the life in Point Reyes Station. On Tuesday, the girls and I said our good-byes and headed out the door for SFO and the twisty, winding roads. 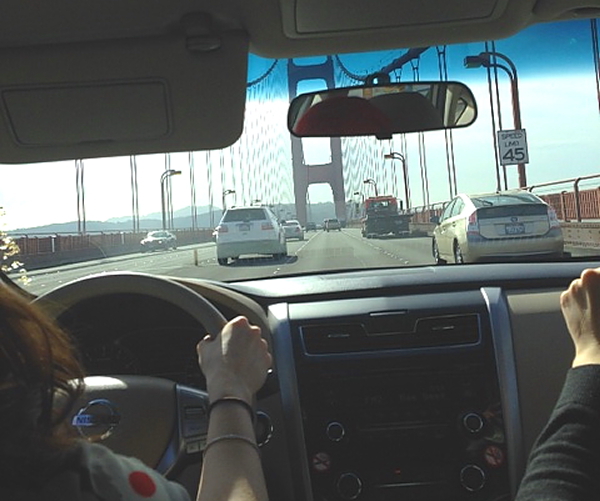 We made it to the Golden Gate and I took a photo from the back seat. Good-bye San Francisco. It was great. Now onto the wedding, more parties, and memories for a lifetime. I am home now, but every time I try to sleep, the ribbit chorus still plays in my head. Please. Stop. Oh, well, soon the sound of wedding bells will take over, and that will only make me smile. Off To A Wedding Shower! (Coco)Nuts About My New Cup! What a delightful family celebration! Even creation was joining in with a chorus of singing, ‘ribbit’! We ran into a pond of croaking frogs on a family reunion camping trip once and it is amazing how loud frogs can be!! Yet, even with the lack of sleep, all the ‘family love’ appears to have given you and Kristina wings in the kitchen to prepare such an elegant luncheon. Every detail is so special and meaningful and beautifully done. Thanks for sharing. I just hope you share some of the recipes you mentioned?? I have 3 daughters, so I am taking notes!! Love to you and all your dear family during this blessed and happy time. Thank you for all the kind words, Kim! About the recipes, I was going to type them all out but realized it would be way too long of a post. 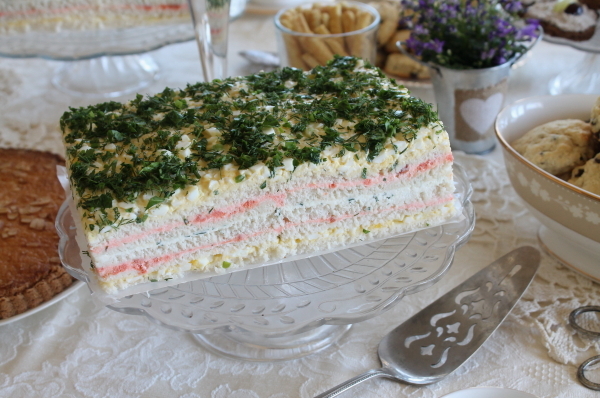 Kristina has all the recipes on her BetterRecipes site and I am going to go back and put a link on my blog to her blog for all of them. beautiful. Wish we were close enough to come. Lolly, all the recipes for the tea are on Kristina’s blog. 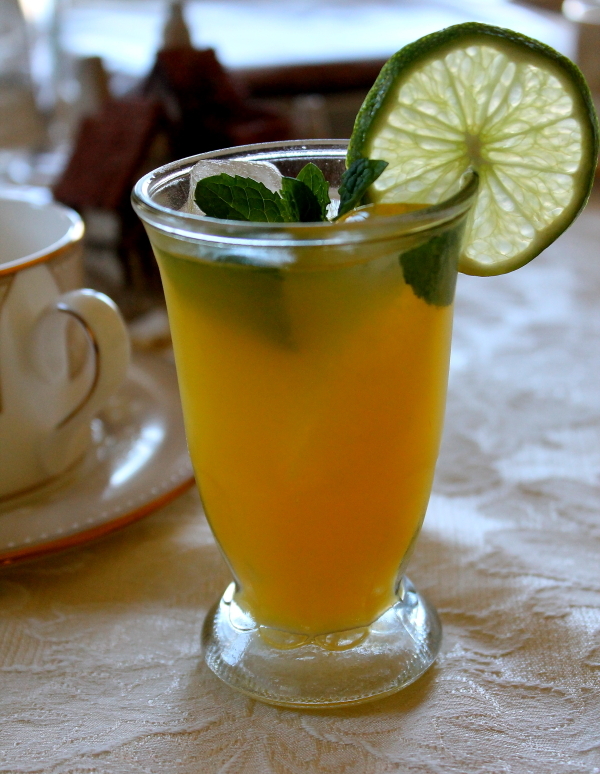 I was going to put a link up on my blog to the recipes, but haven’t got to it yet. You can either go to Kristina’s BetterRecipes blog or watch for mine sometime over the weekend and I will add them to mine. 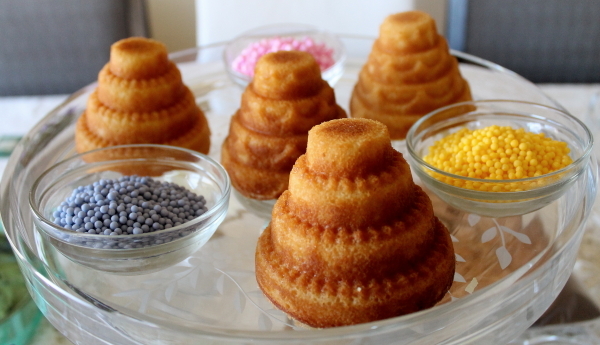 The lemon curd is SO good and really easy to make. I hope you and Bob will think about driving down for Kara’s wedding celebration here. The Finns are coming! Sini and Toni already have their tickets. Chuck and Rita are coming, too. It will be our own FinnFest! Mary Louise, wish you could have been there! The police reports are so funny! If I were you, I’d wear some ankle guards on the next visit! LOL! Thanks, Tina! 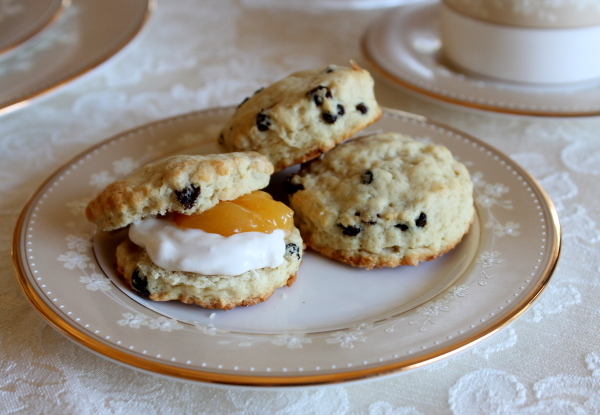 It’s hard to pick our favorite, too, but if I had to choose it would probably be the scones and Devonshire cream. We just could not get enough of those.